Dadra and Nagar Haveli is one among the seven union territories in India. It is located on the west coast and is composed of two different parts - Dadra and Nagar Haveli. Dadra lies surrounded by Gujarat whereas, Nagar Haveli shares borders with Maharashtra and Gujarat. It lies in the watershed areas of Daman-Ganga River. As it shares borders with both Gujarat and Maharashtra, the languages spoken here are Gujarati, Hindi, Marathi, Konkani, Bhilodi, Bhili. There are many tribes who inhabited some areas of Dadra and Nagar Haveli. These tribes have their own indigenous culture and are self-sufficient. The most striking feature of this place is the natural scenic beauty bestowed upon the state. The union territory has a lush green forest cover with rivers on a winding course and undulating mountain ranges. A splendid spread of flora and fauna is bound to mesmerize you when you come to visit Dadra and Nagar Haveli. Situated in the western corner of the Indian sub-continent, it is a union territory located between Gujarat and Maharashtra. The total area of Dadra and Nagar Haveli is 491 Square Kilometres and an interesting fact about the place is that it is the part of the Ganga-Daman watershed area. Dadra and Nagar Haveli was established in the year 1961 and Silvassa is its capital. There is an obscure account of the history of Dadra and Nagar Haveli before the Indian Medieval period which falls between 11th century to the 17th century. 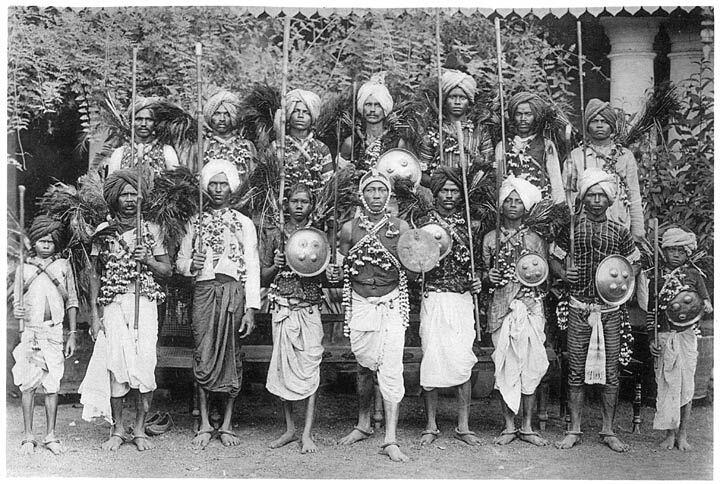 The recorded history of Dadra and Nagar Haveli dates back to the rule of Kolis Chieftans. In the year 1262 CE, Rajput invaders after defeating the Kolis became the ruler of RamNagar which was a state in the Nagar Haveli region. They ruled the region till middle of the 18th century, when the Marathas annexed the territory from them and ruled Nagar Haveli. In the late 18th Century, the Marathas had to cede Dadra and Nagar Haveli to Portuguese. It had to be done as a compensation for the Portuguese vessel that the navy of Marathas had destroyed. After annexing Nagar Haveli, Portuguese also acquired Dadra within two years. In 1947, when India got independence, there were pressures from Indian Nationalists and Portuguese had to leave Dadra and Nagar Haveli in the year 1954. In 1961, it became a part of Indian republic and was announced to be a Union Territory. It is now an important part of India and a thriving tourist destination owing to its natural scenic beauty. There are two separate geographical parts of the Union territory which are Dadra and Nagar Haveli. Lying near the Western coast of India between latitude 20º – 0’ and 20º – 25 N and longitude 72º – 50’ and 73º – 15’ E. Valsad District of Gujarat lies on the Western, northern and Eastern side of the UT and by Thane District in the south and a South East direction. The forests cover almost two-fifth area of the Dadra and Nagar Haveli. When one approach Western Ghats, the terrain gets hilly and elevations up to 300 meters can be found in the northeast and eastern areas. Central plains near Dadra are lowlands which come under the watershed areas of the Daman Ganga River and the tributaries. 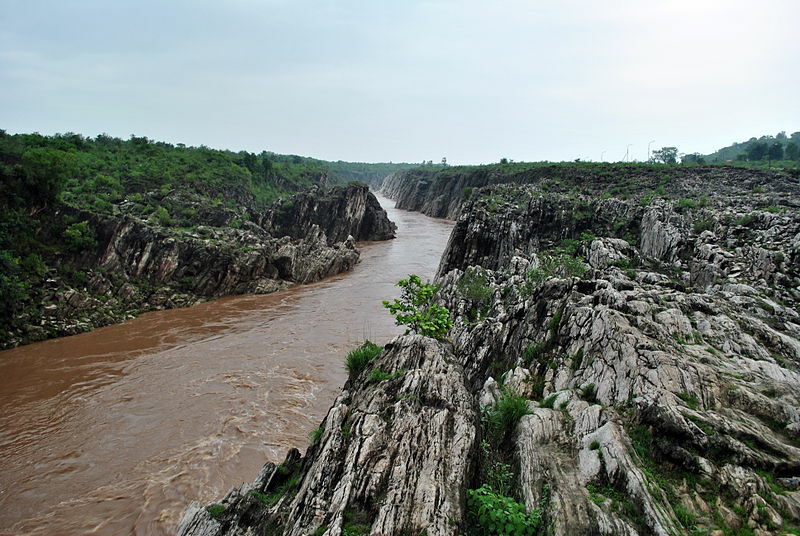 This river is the only navigable river in the Dadra and Nagar Haveli which rises from Maharashtra and flows through the plains and hilly terrains of Dadra and Nagar Haveli. The topography of Dadra and Nagar Haveli is varied. 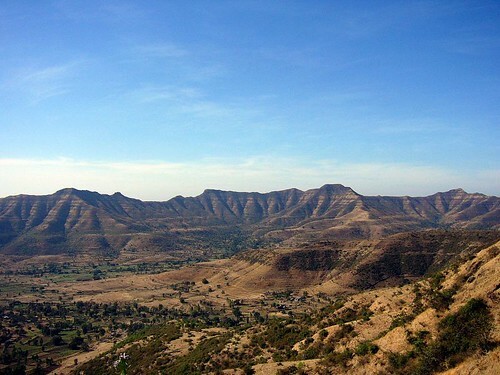 The northeast and eastern part of the Union territory which is surrounded by Sahyadri mountains of Western ghats exhibit hilly and rugged terrain. The part of Dadra and Nagar Haveli which lies in the centre is plain and fertile as it lies under the watershed. This alluvial region has a fertile soil owing to the contact with Daman Ganga River originating at Maharashtra. This river rises in the Western Ghat and passing through the watershed areas of Dadra and Nagar Haveli falls into the Arabian Sea. This river has three tributaries- Golak, Sakartod and Pipariya which join the river in Dadra. Forest cover over the place is also appreciable and home to a large variety of flora and fauna. The geographical area of the union territory Dadra & Nagar Haveli has an extensive forests cover which is in tune of 20852 hectares. A rare variety of trees, and species of herbs and shrubs constitute the flora found in Dadra and Nagar Haveli. Maintenance of ecological balance and rehabilitation of depleted flora and fauna has been the priority of the forest department here. Sadra, Khair, Teak and Sisam trees are commonly found in the area and make the flora of the area quite rich. Some of the forests present in Dadra and Nagar Haveli are impenetrable while few are navigable. As many as 58 villages where the tribes reside are found in these forests which are less dense and navigable. The residents of these villages are self-sufficient and the forests are the only source of their food and fodder for the animals. The economic resources that are found in these forests are very important and find extensive usage in cottage and small industry. These industries have been established in these regions to uplift the standard of living of the tribes and bring them in the main stream. However, tapping these resources by no means damage the forests. The verdant forests of the area are home to a diversity of flora and fauna. Those forests which are home to endangered species have been declared as sanctuaries to protect these species from getting extinct. The rich and nourishing climate and vegetation of the region also make it home to a rich fauna. The biodiversity makes the place congenial for birds, various mammals and other species. The climate of Dadra and Nagar Haveli is moderate where summers are usually hot and the temperature can rise up to mid 30 Deg. Cel. in the month of May and June. The average annual rainfall in the region is approximately 120 inches. Most of the downpour occurs in the monsoon month of July to September. The most pleasant climate which is best suited for tourism is from November to March. As the territory enjoys the closeness to the seas, the temperatures does not sore to the point of being intolerable and the evening breeze makes the weather at night quite pleasant. The southwest monsoon visits the UT in July to September when the rainfall can be up to 200 meters. During the month of March to November, the temperature is in the range of 15 degree cel. to 26 degrees. The rivers flowing in Dadra and Nagar Haveli comprise Damanganga river and three of its tributaries that drain the entire territory. Daman- Ganga divides Dagar and Nagar Haveli into two and its three tributaries contribute the watershed that is the part of the area's ecosystem. The River Daman Ganga rises atop the Western ghats and flow through the entire Dadra and Nagar Haveli before it finally falls into the Arabian Sea near the Daman Port. The tributaries flow through the western side and drain the hilly terrain of the UT and drain the entire land of the Union Territory of Dadra and Nagar Haveli. The union territory is dissected by the river itself into two distinct parts. The Damanganga river rises in the Western Ghat region of Maharashtra and crosses through Dadra and Nagar Haveli, finally emptying itself in the waters of the Arabian Sea around the port of Daman. The River Bhagwan river flows along the Northern border of the Union territory and down south flows the Kalem River. The northern boundary, and the Kalem river running along the southern boundary. The Damanganga flows majestically in the central part of it. The Madhuban reservoir is fed 83.33 Cubic mm of water by this river. Along their undulating course, these rivers of Dadra and Nagar Haveli give rise to various waterfronts, falls and streams that make for picturesque locations enjoyed by the tourists. One of such waterfront at Dudhni near Khanvel is being developed as a thriving tourist destination where many water sports and other activities are being organized to promote tourism. The landscape formed at these spots are indeed very romantic and beautiful Trekking trails are also developed along the path of a river for the tourists. Economy of Dadra and Nagar Haveli is primarily dependent on Agriculture and Tourism. Agriculture is considered as the economic activity that contributes most to the economy. The crops that are cultivated here include paddy which is sown in the 2/5th part of the agricultural land. Other food crops that are sown here are Ragi and small millets. Agriculture provides employment to approximately 60% of the people who work. As the forests of Dadra and Nagar Haveli has plenty of economic resources, local residents also work as forest labourers. They also work there as guards to stop poaching and other illegal activities like cutting of trees. People also open Animal husbandry as the animals get a lot of green pastures here. These husbandries are a great contributor to the economy, which is aimed towards development of the area. Tourism is another contributor to the economy as the natural beauty of the Union territory attracts many from India as well as from across the globe. The government is also developing many waterfronts as a tourist spot for promotion of tourism.